Basil herbs — not without reason called l’herbe royale — these versatile herbs have a great affinity for tomatoes, fish and egg dishes, but are good in almost all savory dishes. It has a mild, sweet flavor. It is said that basil herbs help control blood pressure and are rich in antioxidants, among other benefits. Serve basil herbs as they do in Italy — where basil is very popular — in a bouquet of sprigs set in water in a small vase. Keep in mind that they darken quickly after cutting. Ocinum basilicum grows to 2 feet, dries poorly and should never be dried in heat above 110 degrees. It roots in a few days in water. Make cuttings and pot up before frost in rich soil. It is worth keeping at least one plant over the winter. 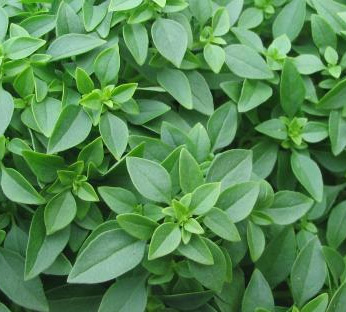 Ocinum minimum, dwarg bush basil, less than one foot tall, is the sweetest and mildest in flavor and the best for indoor culture.